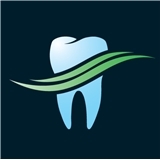 A & M Dental (Houston) - Book Appointment Online! I had a good experience with Dr Stevin and his assitant. Very thorough in explaining. Very patient and willing to go in details if something was not clear. I would definitely reccomend him. He did an amazing job! Especially by helping my son getting over his fears. After the treatment my son said that it was actually fun! ? ?